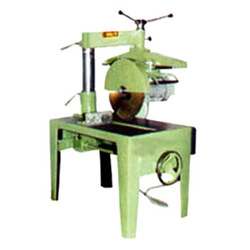 Backed with huge industry experience and market understanding, we are involved in providing a wide variety of RAS-600 Radial Arm Saw Machine for our valued patrons. The HOLYTEK Radial Arm Saw Series have a heavy and solid cast-iron structure which guarantees perfect and consistent cutting results. They are available in a wide variety of sizes for various requirements, including an automatic model with a frequency converter to control saw travel speed and jog. 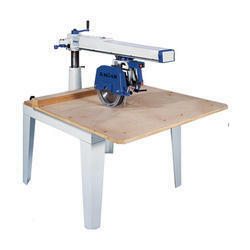 They can perform flexible sawing jobs, such as, cross and mitre cutting, dado and ripping.